This is something that needed to happen. 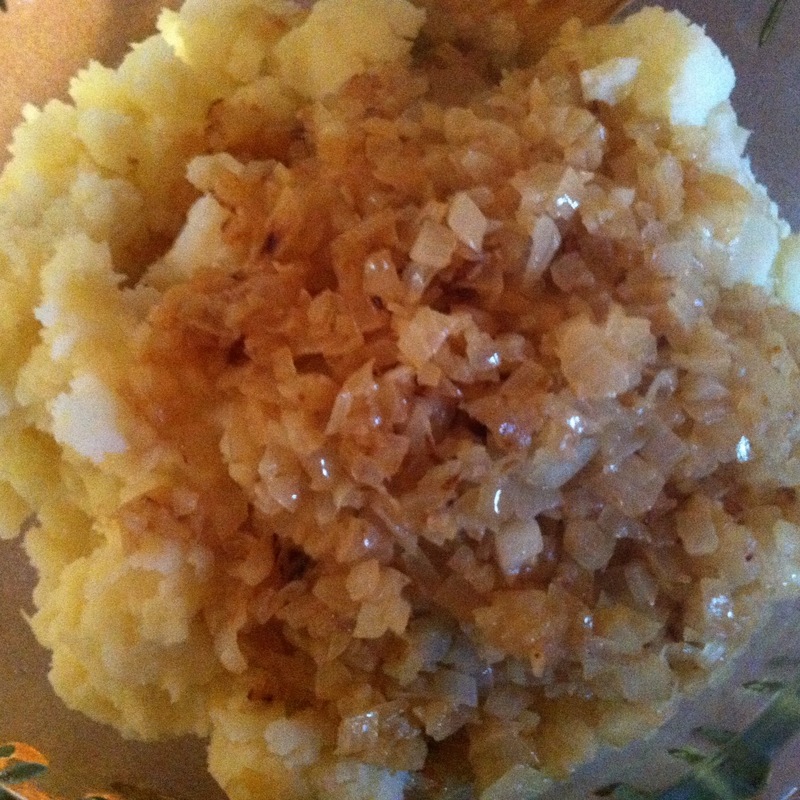 You know when you have a strong need for down home comfort food… I’m talking the kind that is hearty and greasy, but yet you don’t feel too much remorse for over indulging in the devil that is the overabundance of butter? Yea, me either…. I always feel guilty but pffffft… Paula Dean is my spirit animal so there is that! 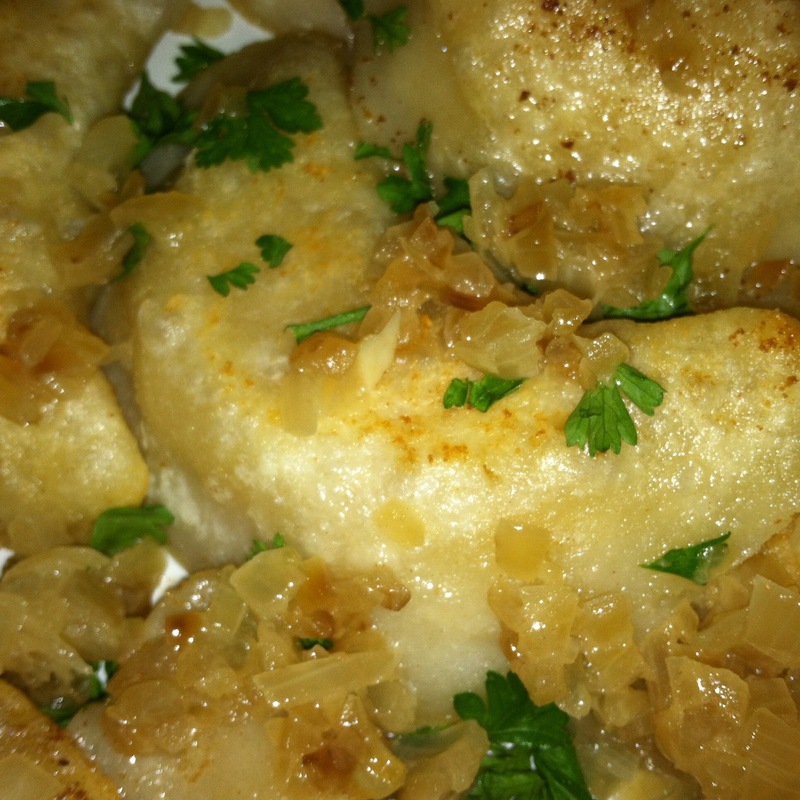 Anyways, this is a little ditty that was pretty freaking majestic, but I am going to put this out there… it was quick and easy prep, maybe 20 minutes tops for the filling and about 5 for the dough… but when it comes down to folding your pierogies, you can’t rush perfection… there will be back aches, lots of those… there will be flour, everywhere… there will be tears, because it never ends… But alas! 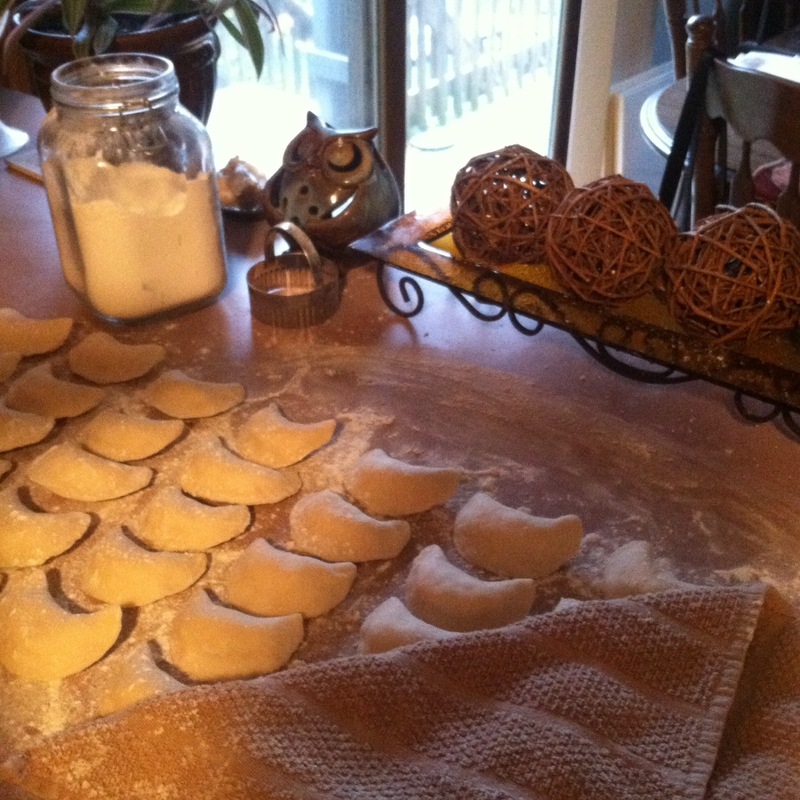 Just as the sun always sets, you will eventually use up all of your dough! Just keep that in mind as your going along and show that blasted dough who is boss!!!! Oh, and most importantly, there will be lots of calories, because obviously the devil always has his price! Consider yourself pre-warned! 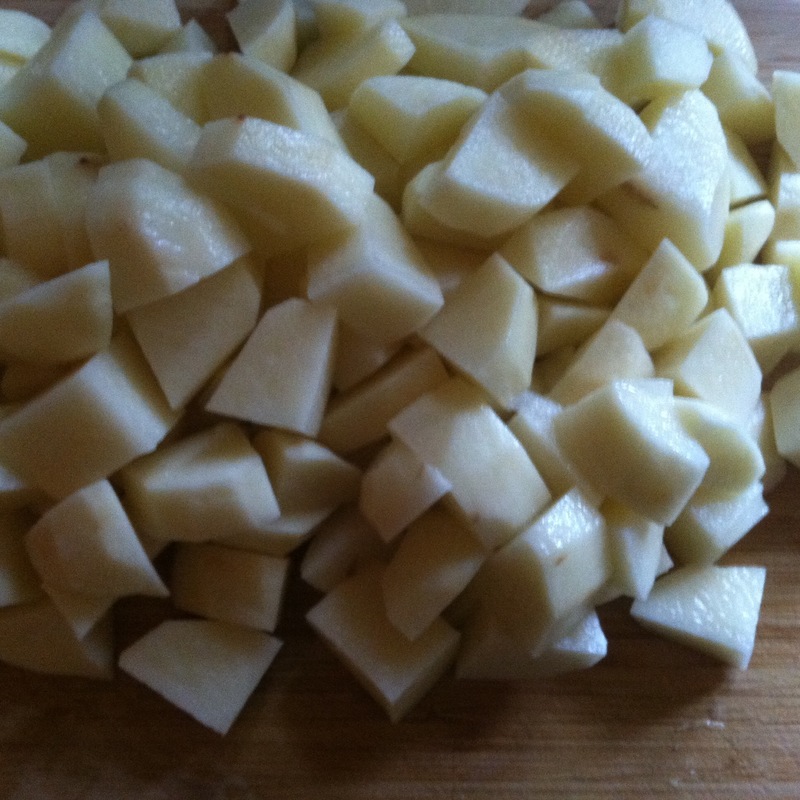 To prep your filling, peel and cube your potatoes. Look at them little majestic gems! 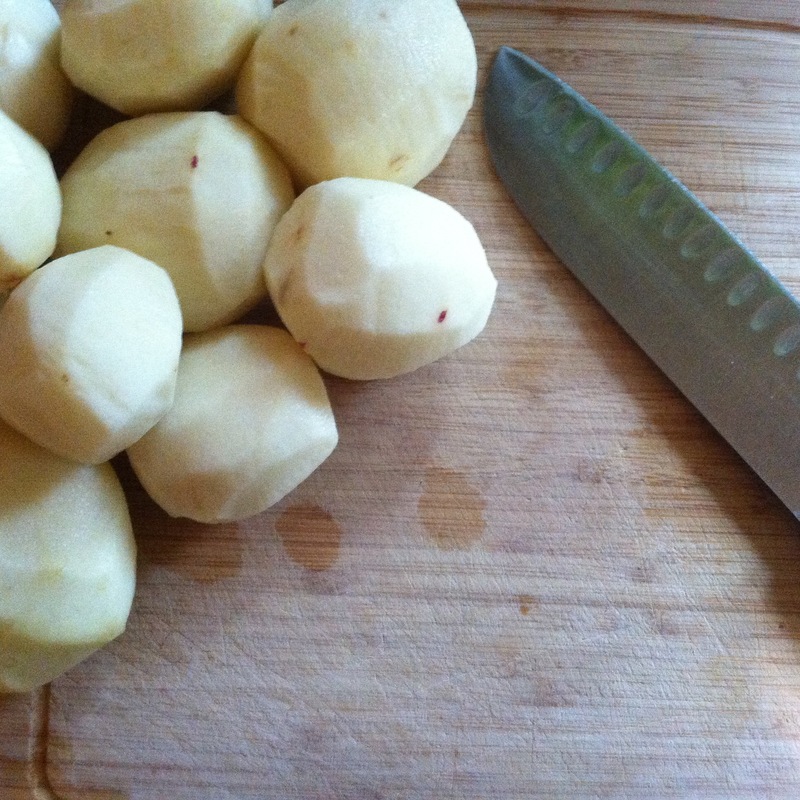 Transfer your little majestic gems (your potatoes) into a large pot and fill the pot with water so that it covers the potatoes by about an inch and a half. 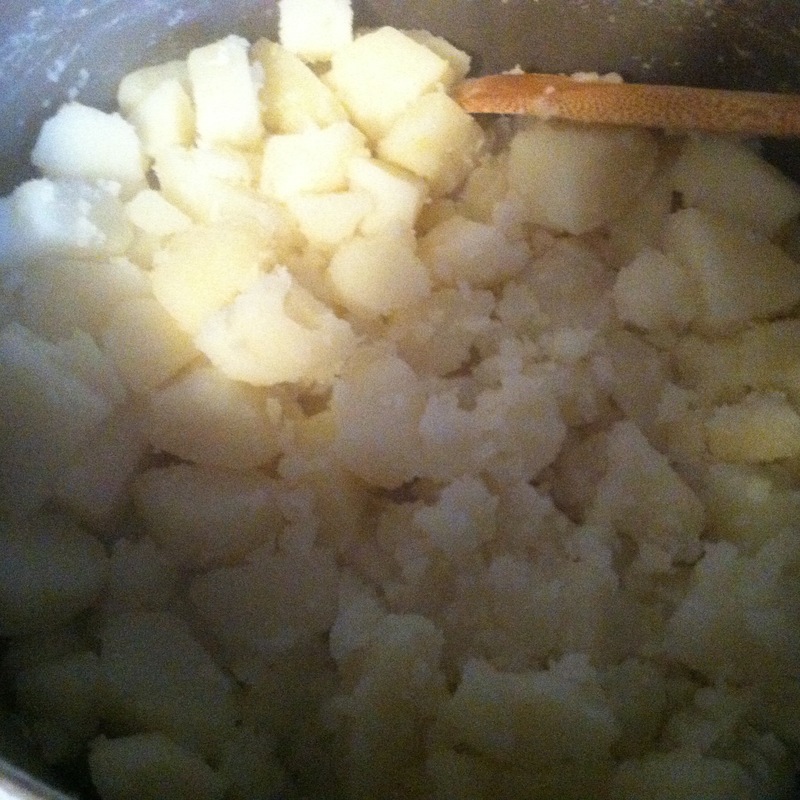 Bring the potatoes to a boil over high heat and allow to cook until fork tender. 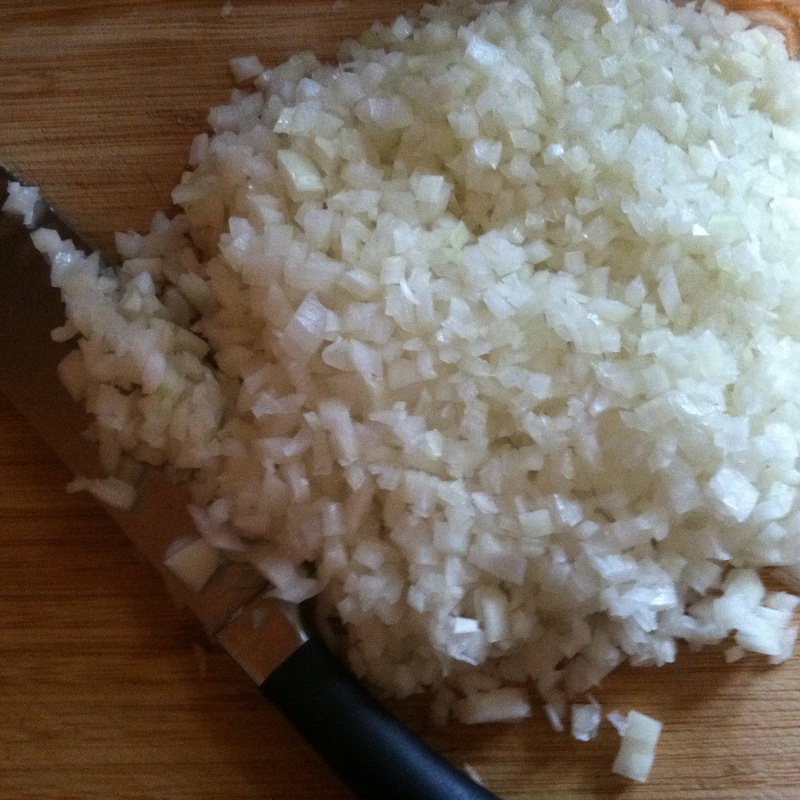 While you wait for your potatoes to cook, dice up the onions really good and set aside. 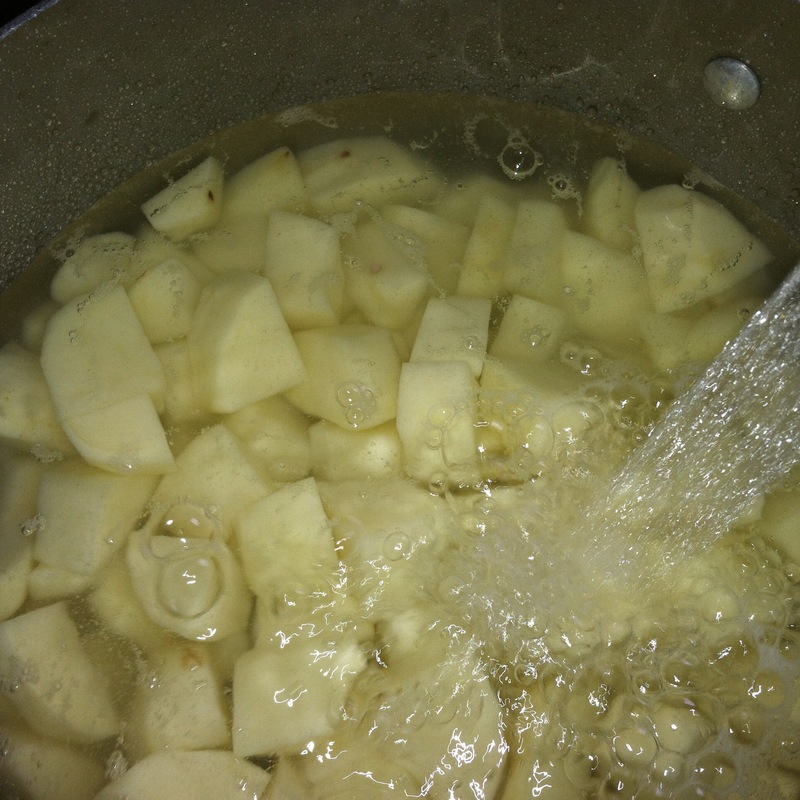 Once your potatoes are good and done, drain the pot of water and return them to the burner. I know this sounds really really weird but you need to “dry” them over medium-low heat. 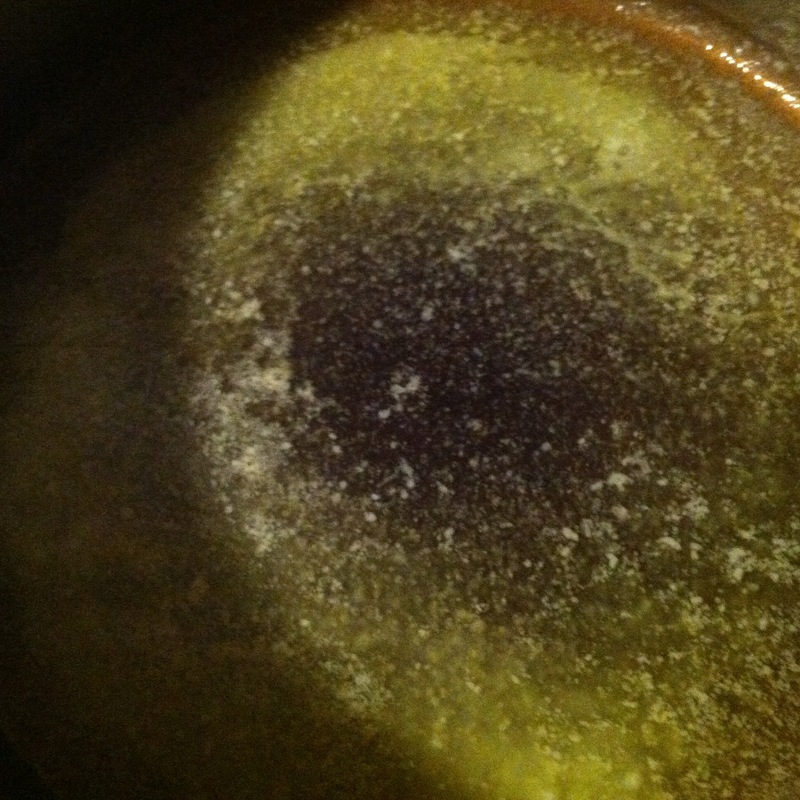 Just basically cover the pot and shake the little gems around a bit for a few minutes. 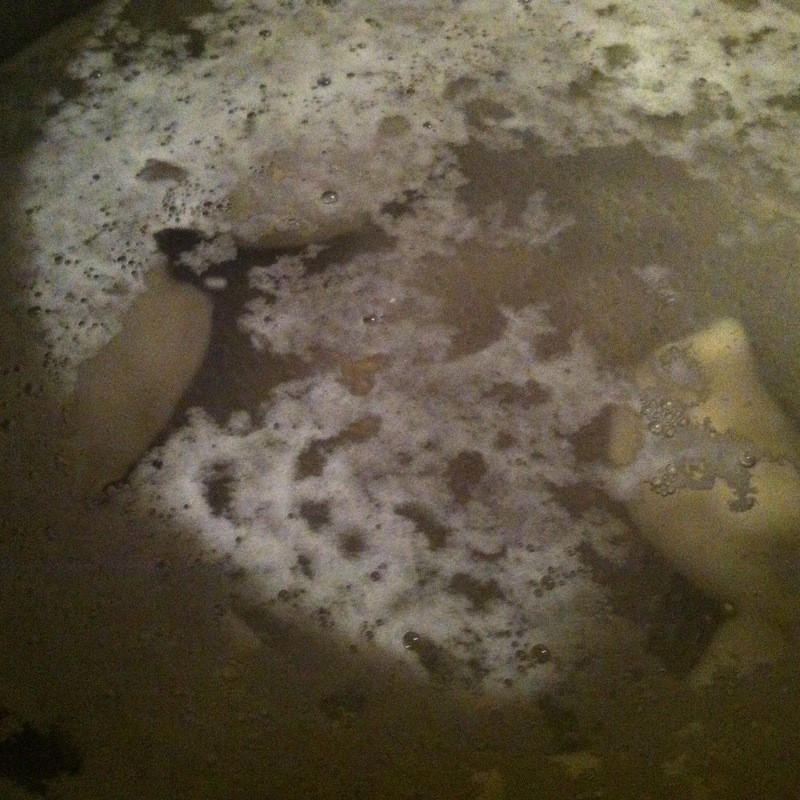 This will remove some of the excess water so they aren’t too wet… dont question, just do! 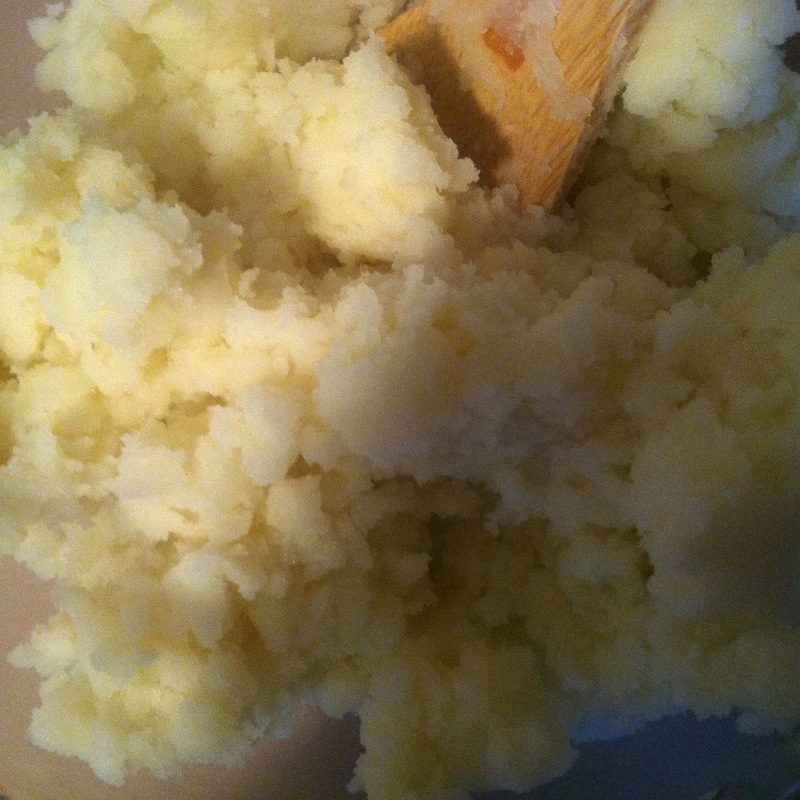 Next mash the potatoes well with a potato masher then transfer to a large mixing bowl and set aside. 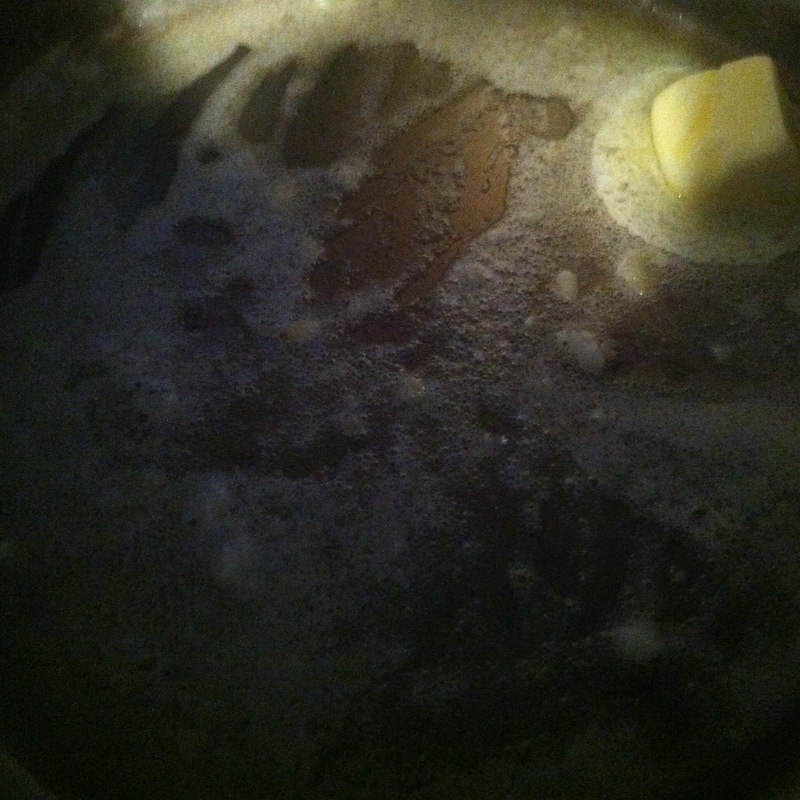 Using the same pot as the potatoes, melt the butter over medium heat. 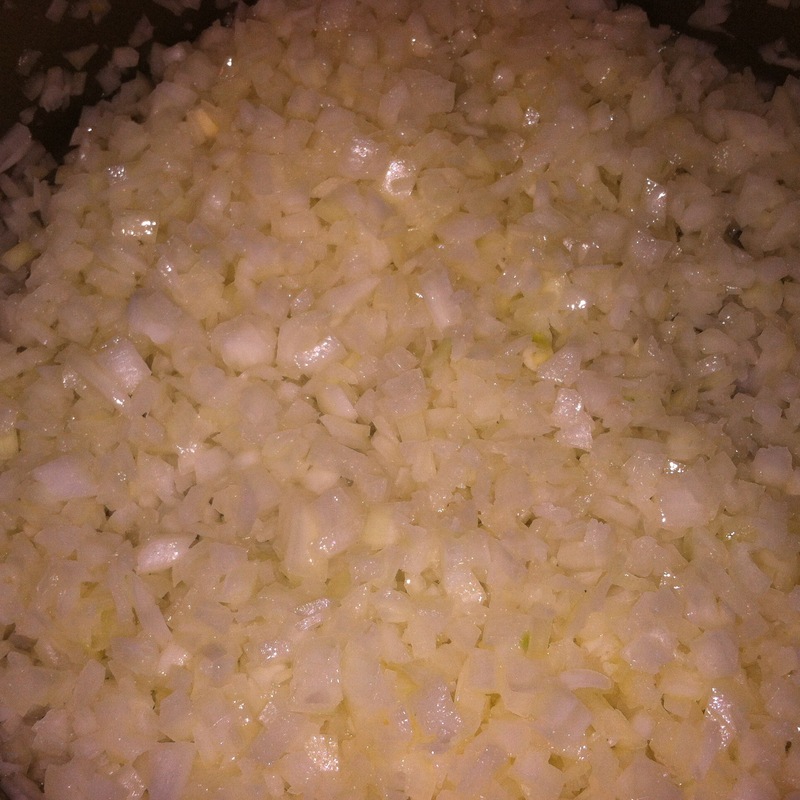 Add your onions and saute until nice and caramelized (about 5-7 minutes). 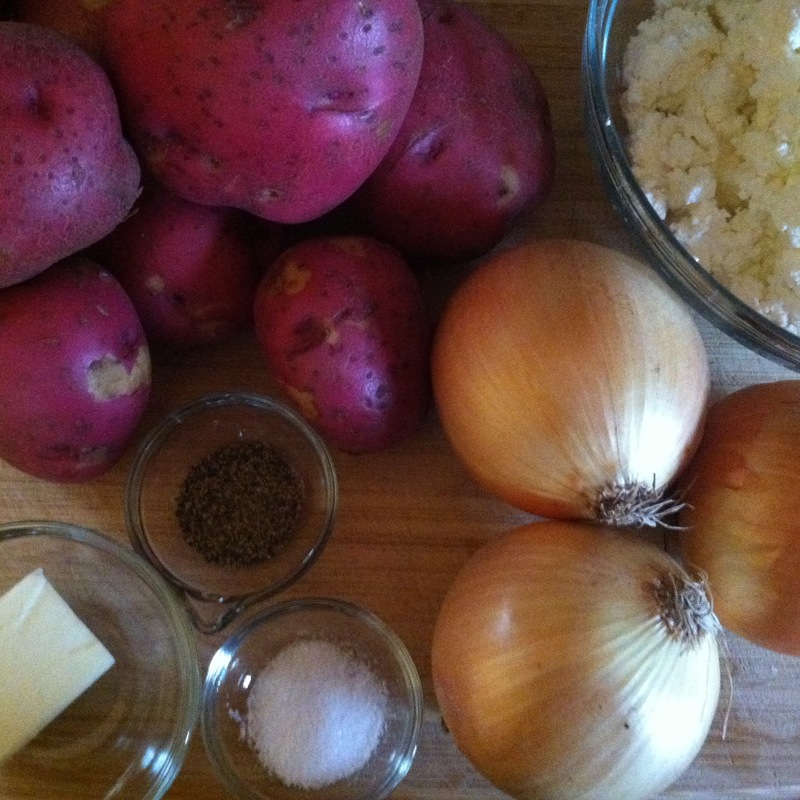 Add onions to the potatoes in the mixing bowl and combine well. 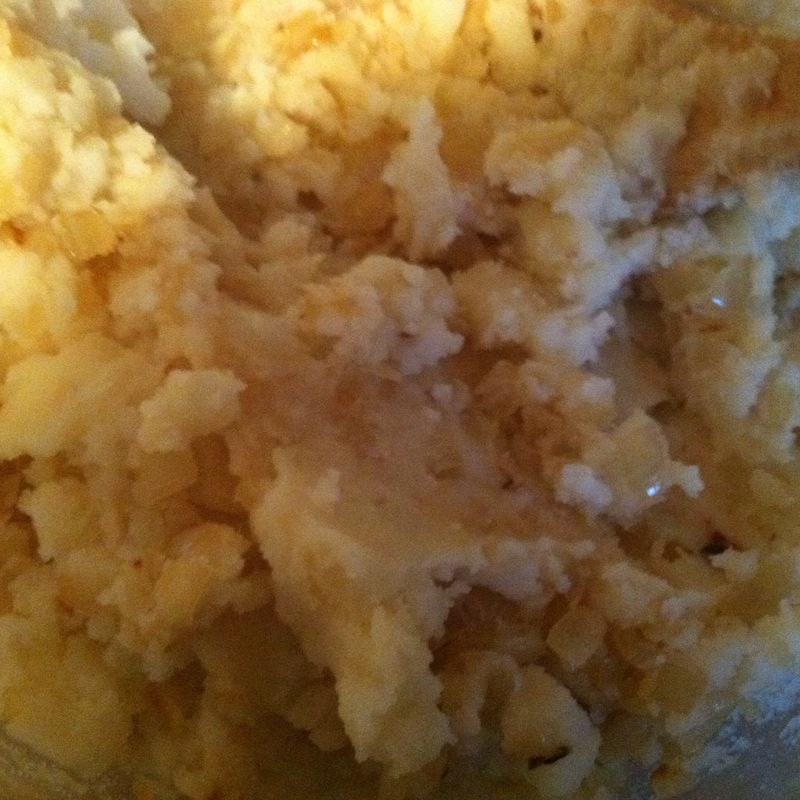 And finally combine the farmers cheese to the potato filling and season with salt and pepper to taste! 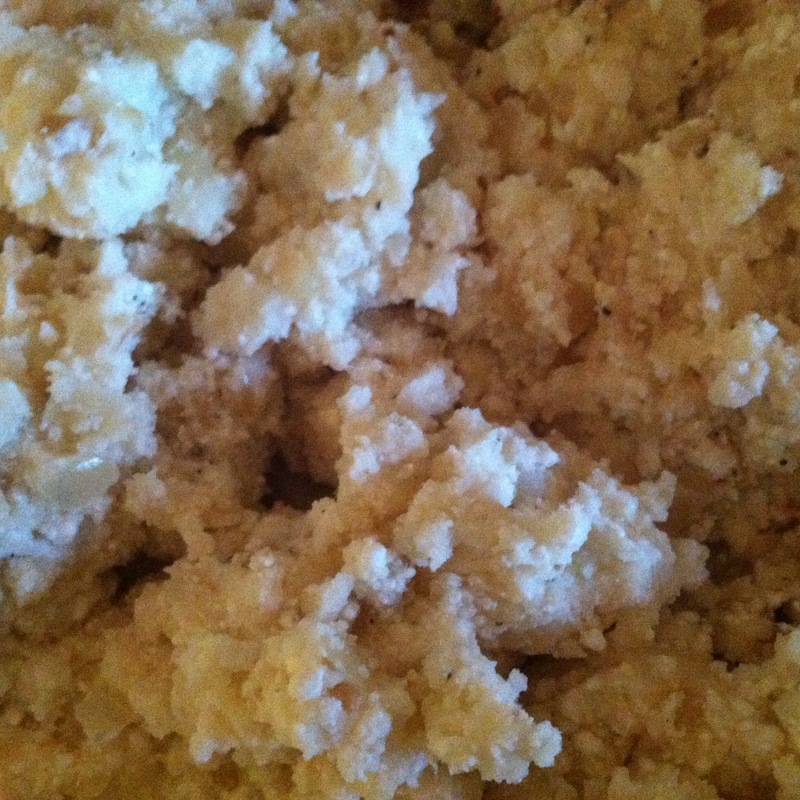 Now to work on the dough, bring your butter to room temperature if it is not already. You can do this in the microwave if need be, but be careful that you do not melt it! 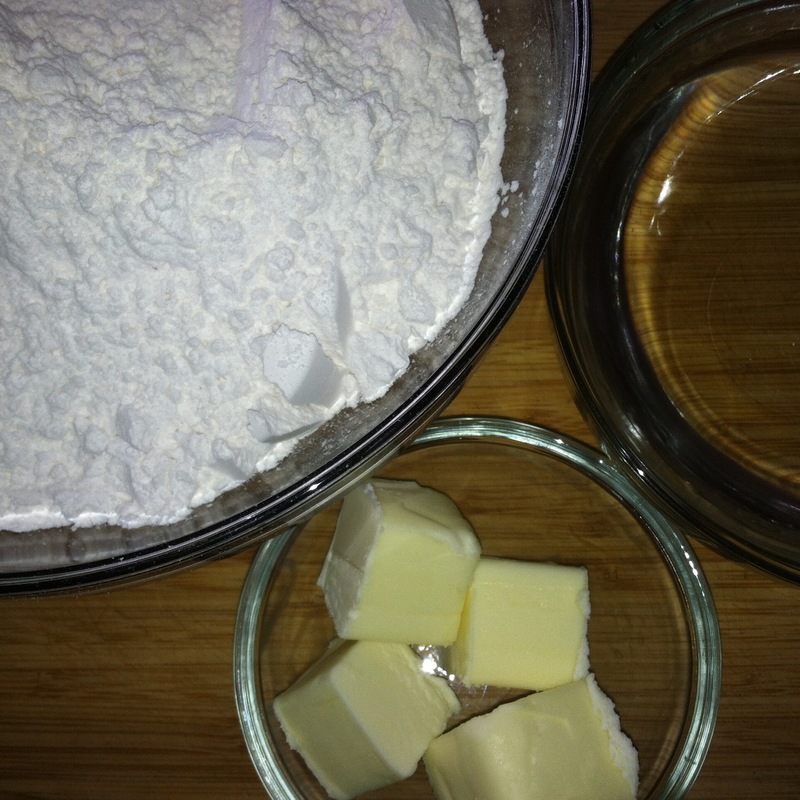 Add the butter to the bowl of flour and really mix it in using your fingers to fully integrate it! 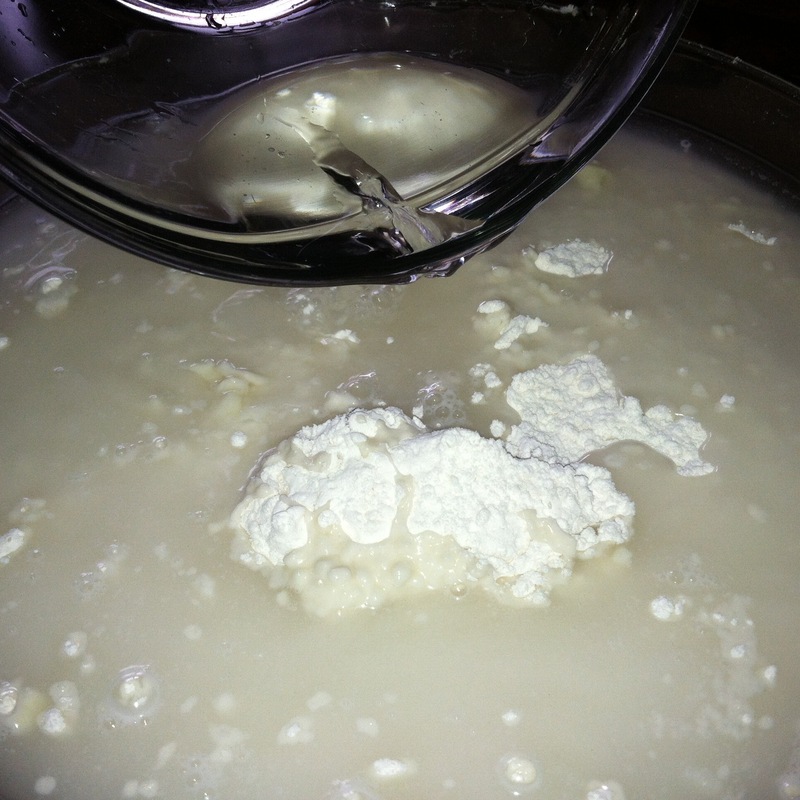 You dont want lumps of butter just hanging around in your dough so be sure that it really is all combined. I know its tedious but its worth it. 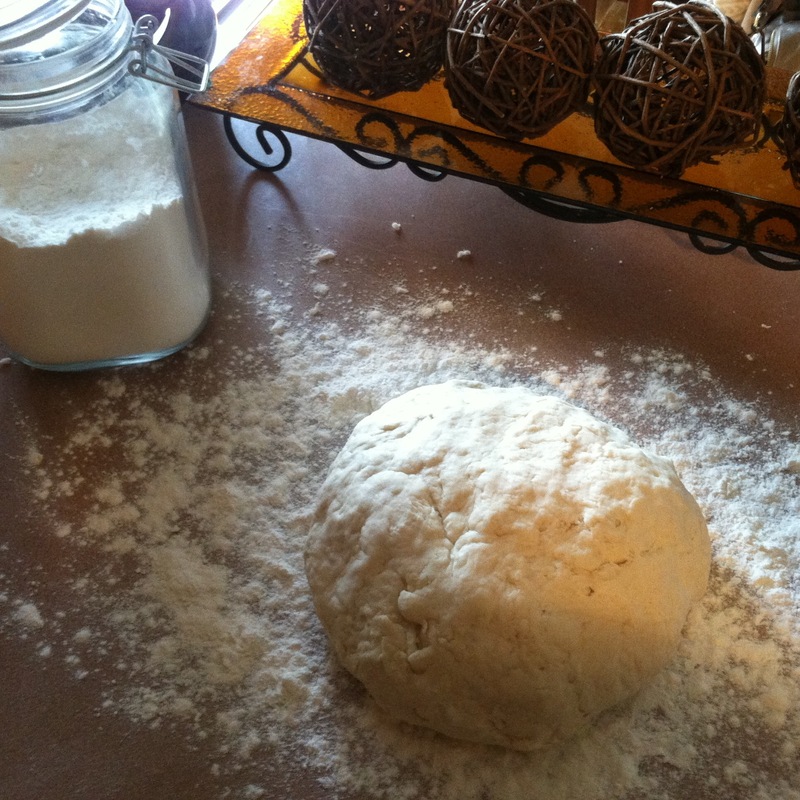 By the time you are done, your flour will have formed more bead like texture than dust. 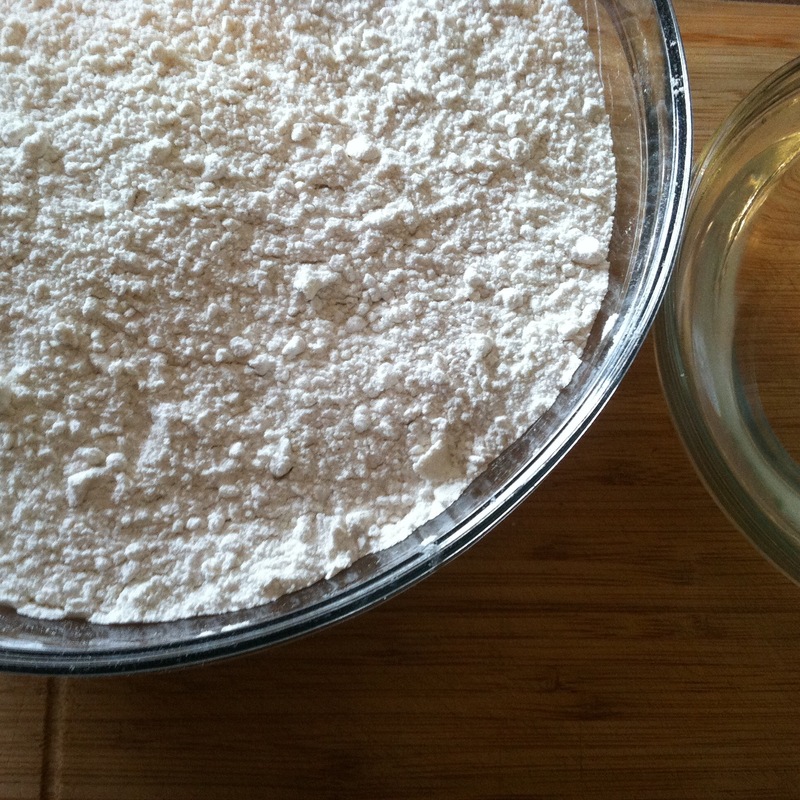 Next pour the warm water into the bowl of flour and start kneading! If you find you need more water, add it a tbsp at a time! You will know that it is done when it is not sticking to your hand so much and when you form the dough into a ball it will lightly spring back when you press your finger on it. When you are finished, you can let it rest on a clean surface dusted with a generous heaping of flour so that it doesn’t stick! 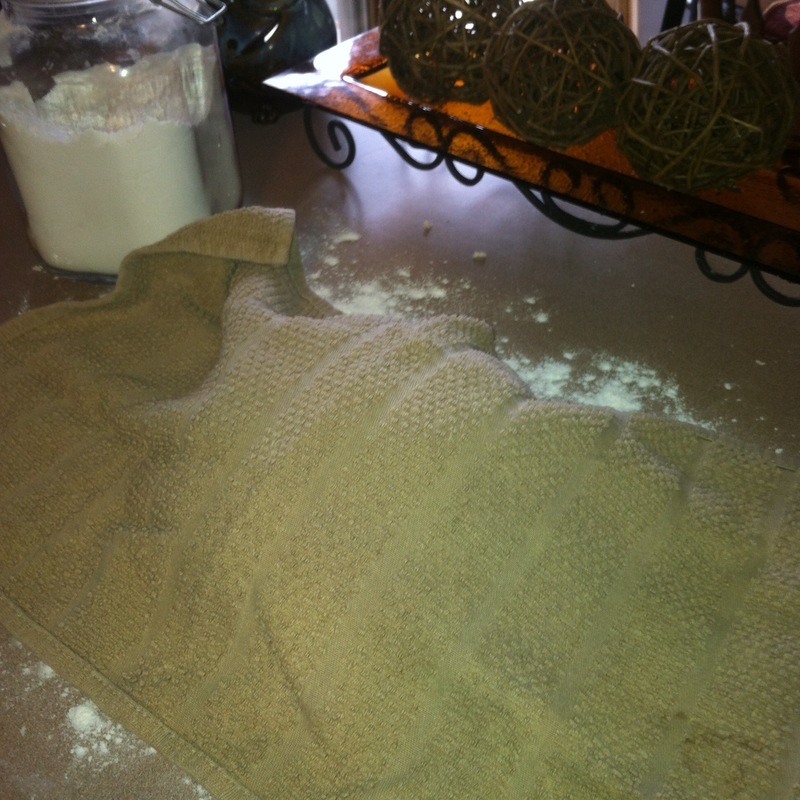 Also when not working with your dough, cover it with a clean towel so that it does not dry out and become unmanageable! 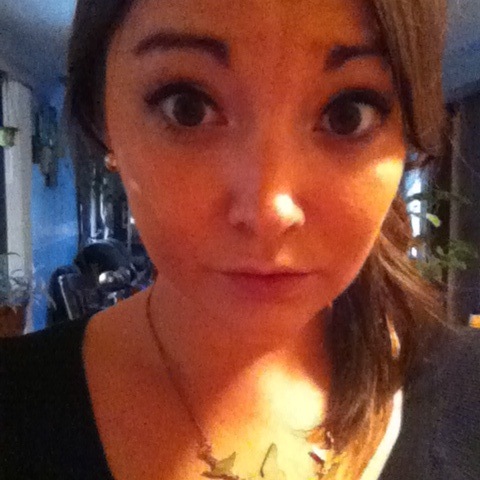 Aliens…. Remember when I said there will be flour everywhere? Brace yourself, it is happening!!! 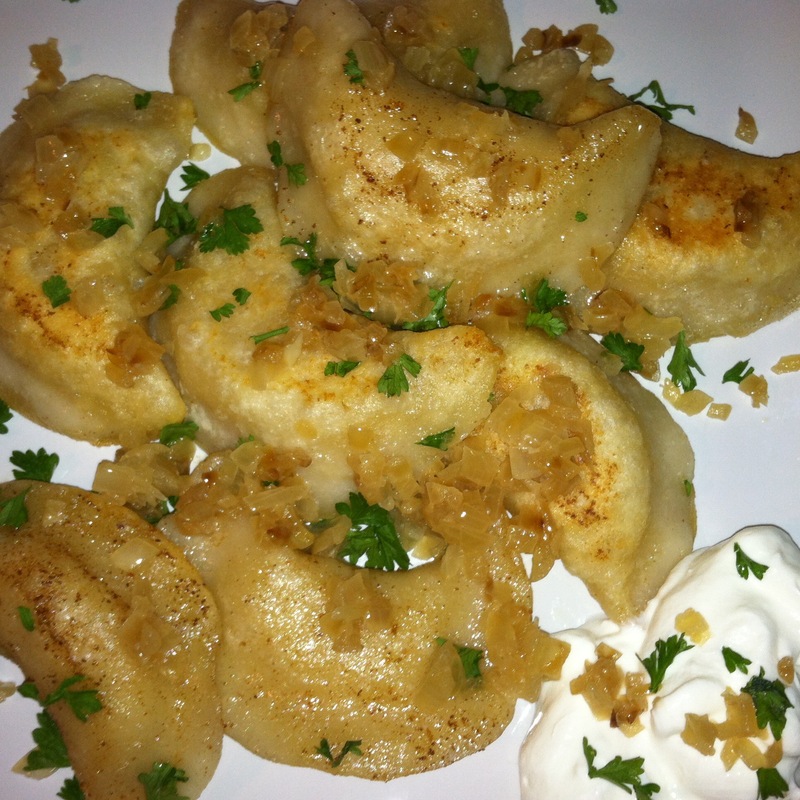 Its like polish napalm in the kitchen, there is no ridding yourself of it for days! 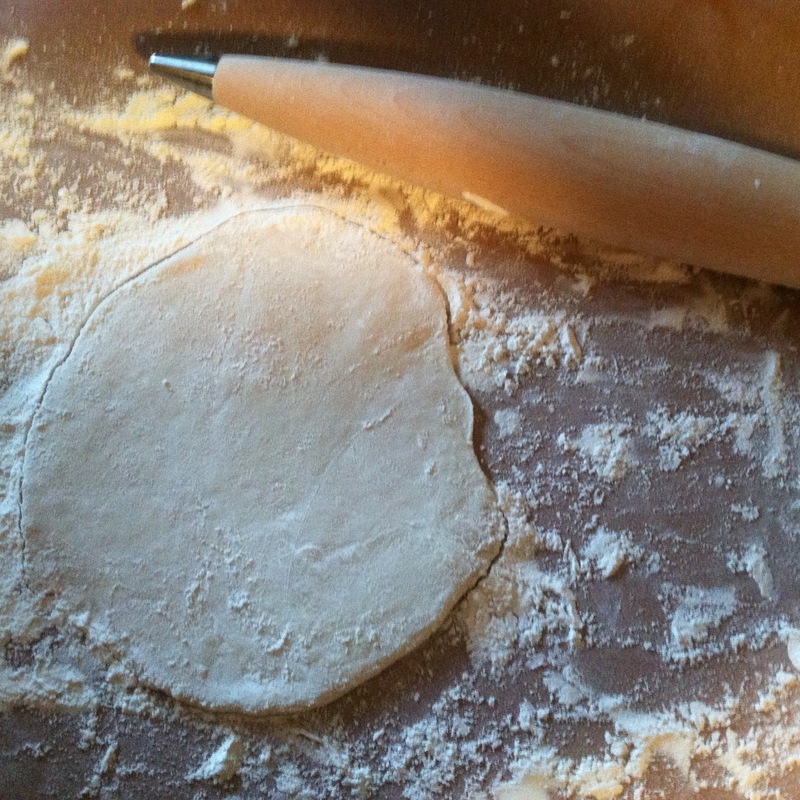 When your ready for shenanigans, roll out small portions of dough over a floured surface and start going to down with a biscuit cutter (or circular cookie cutter). 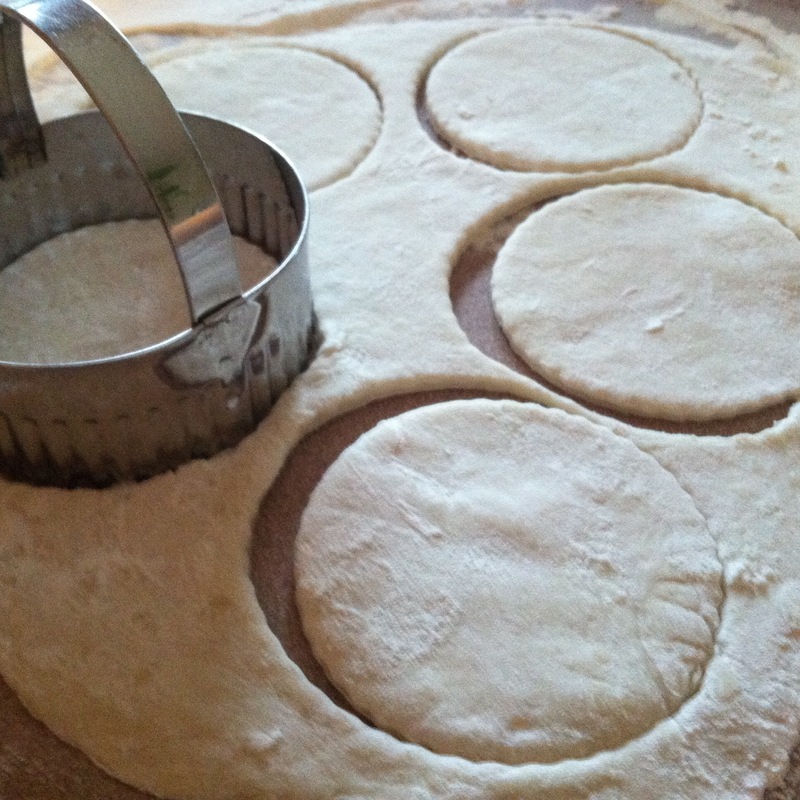 They say that when you are cutting your dough you should stack them with parchment paper separating each layer of dough… honestly I used all of my parchment paper a while ago and never thought to get another roll so you can do this the suggested way or live life on the edge like i did. I fared just fine but totally your call… Either way, dont forget to cover them with a towel so they dont dry out!!!! Next, use a tablespoon to divide your filling among your dough and start pinching by folding them in half then pinching the edges together. If you have a hard time getting them to stick, just lightly wet your finger tip and run it along them inside edges where you want them to stick then try it again. I HAVE FAITH IN YOU! 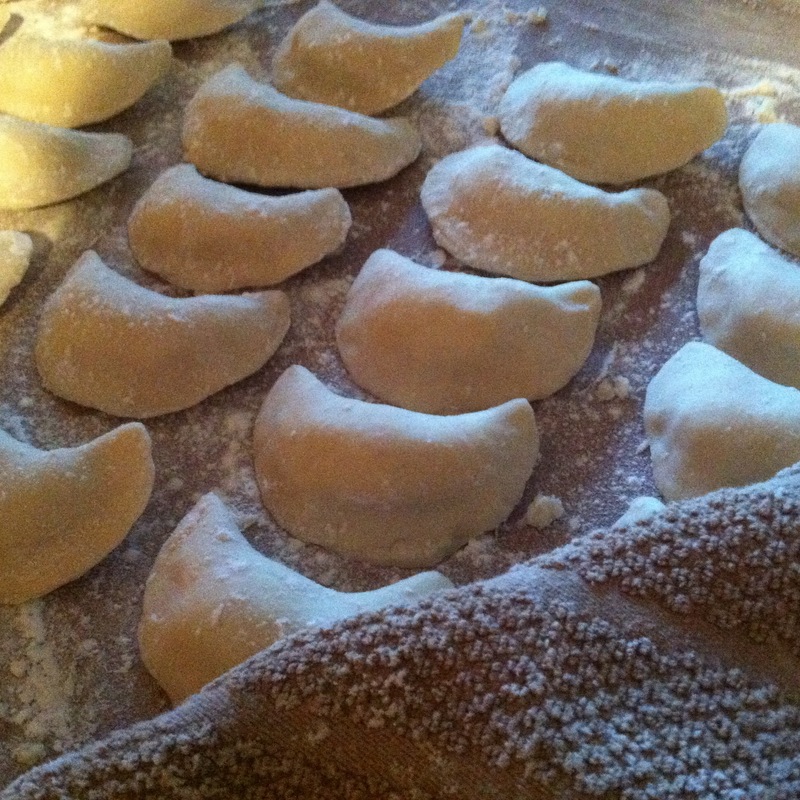 I can not stress this enough, as you fill your pierogies, line them up like little soldiers on a floured surface AND COVER WITH A CLEAN TOWEL! 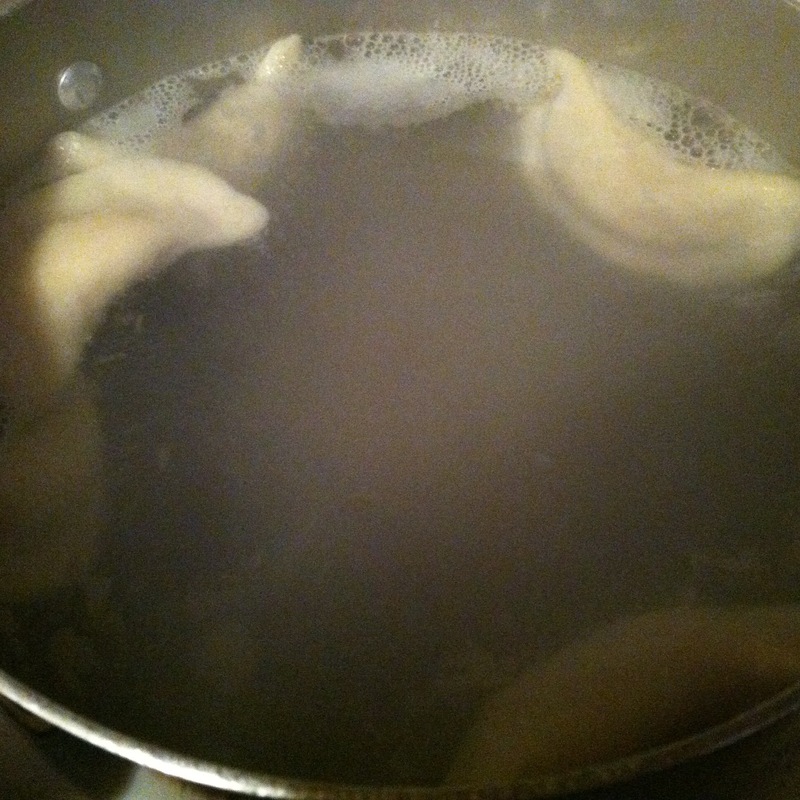 Now to cook your pierogies, fill a pot with salted water and bring to a boil. 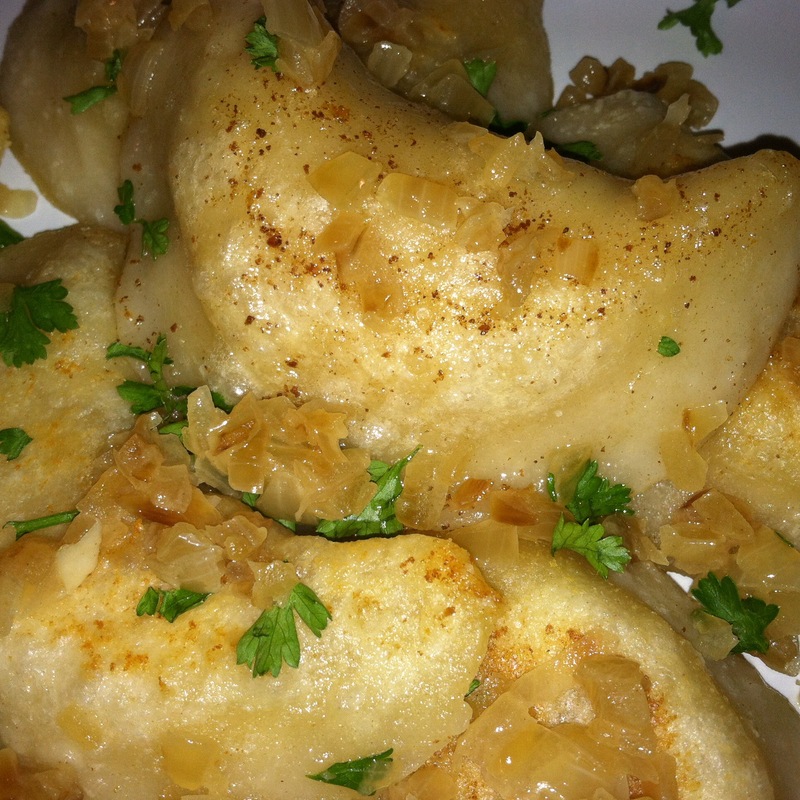 Drop your pierogies in batches (careful not to crowd) and give them a stir immediately (so they do not stick to the bottom). 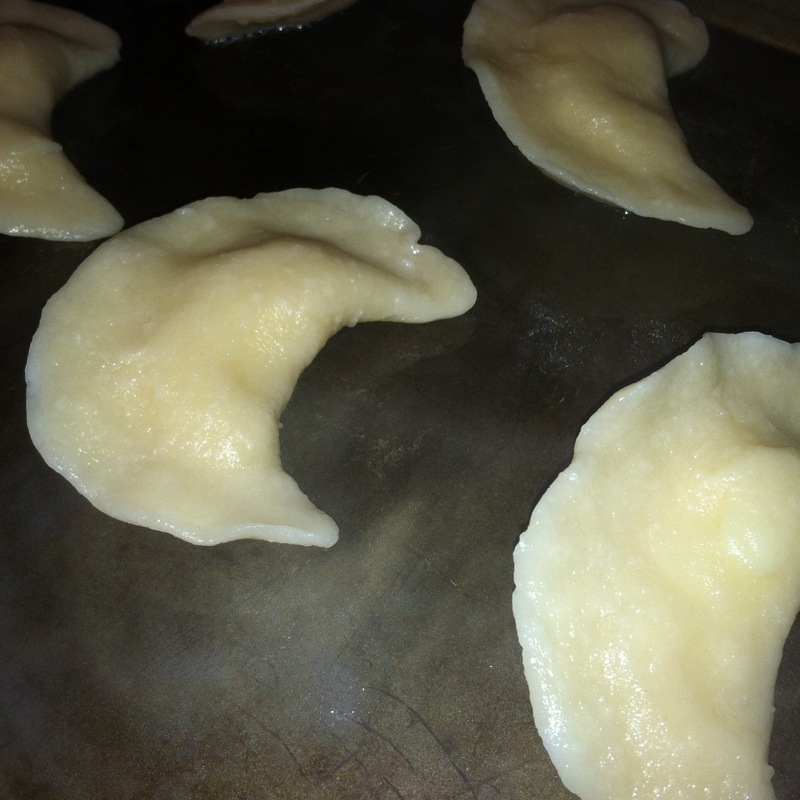 Once the pierogies are floating (about 6-8 minutes) remove them with a slotted spoon and let them rest of a well buttered baking sheet otherwise they will stick! 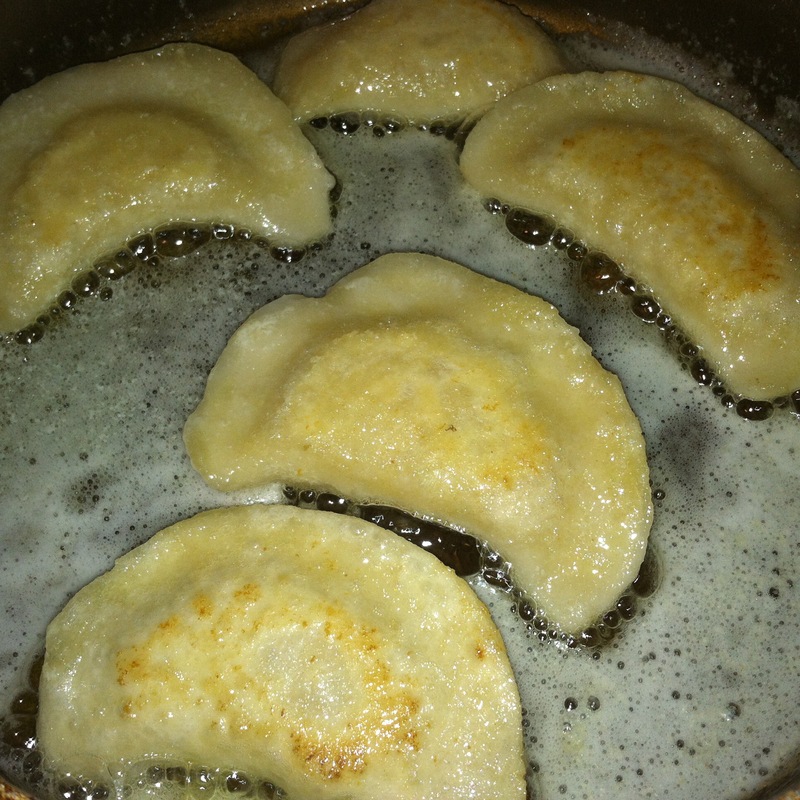 Melt 3 Tbsp of butter in a skillet and saute the pierogies over medium heat for 2-3 minutes on each side. Yes sir, I like this way….. totally worth every calorie if you ask me! 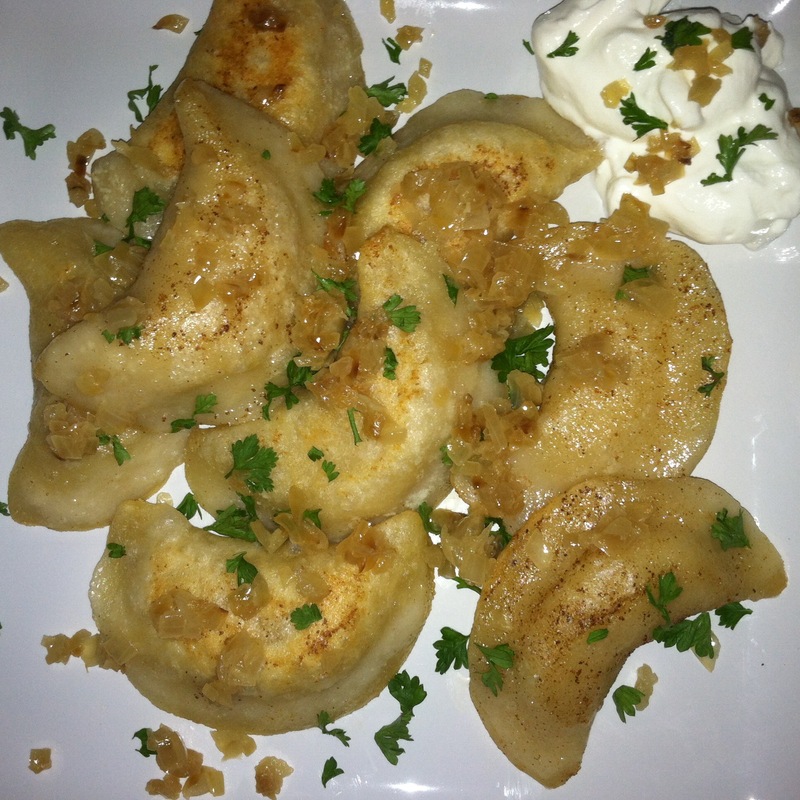 To serve, arrange pierogies on a platter and top with more caramelized onions, chopped parsley, and a spoonful of sour cream if that’s your thing! I know that its not the healthiest dinner, but it sure is the most nostalgic and yummy way to end the crazy work week and truly embrace the cooler weather that November brings. HOW CAN YOU DENY YOURSELVES! 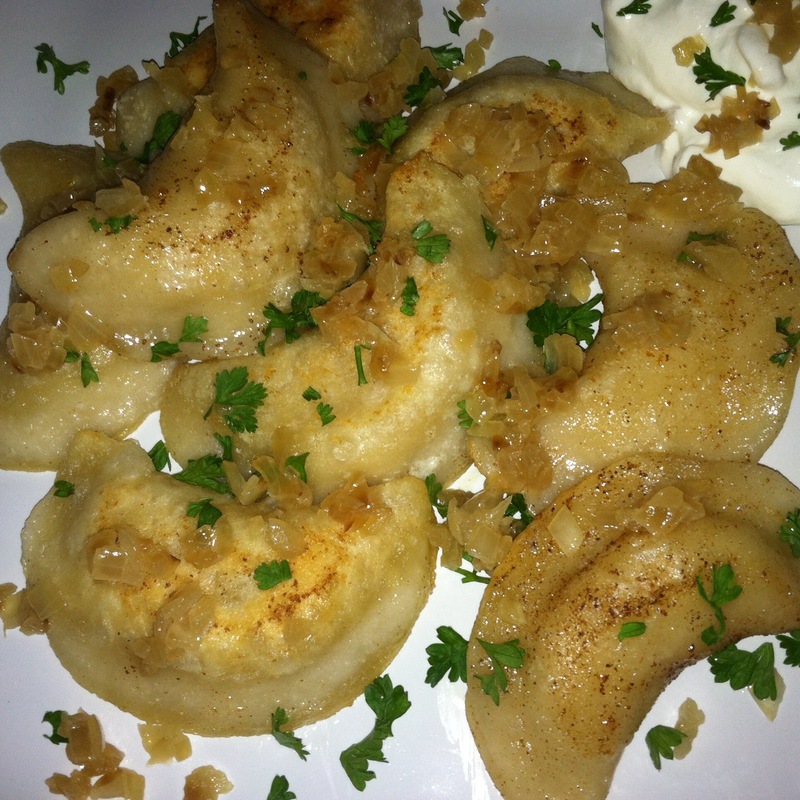 Enjoy and feel free to drop a line with your favorite filling so that I might experiment and see how they go!